Click below for the PPL Park Spectator Guide. The Box Office will open at 4PM and Gates will open at 5PM. Tickets are available online at the PPL Park website. 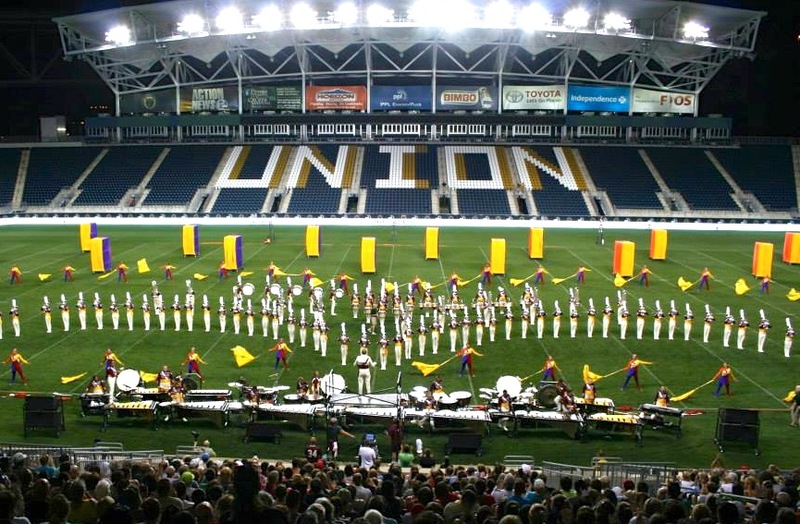 On July 6 at 6 p.m., magnificent PPL Park in Chester, Pa. will host the return of a tradition, as DCI and DCA corps perform on the same field on the same day in celebration of Independence Day weekend and the drum corps activity. Later that evening, five of DCI’s World Championship Finalists will take the field, as The Cadets host the defending-champion Carolina Crown, Bluecoats, Boston Crusaders and Spirit of Atlanta for the final east-coast event of the early season. PPL Park is the home to Major League Soccer’s Philadelphia Union and has hosted the 2012 MLS All-Star Game and several NCAA Championships in its brief, four-year history. The facility is conveniently located just a mile off of I-95 at the foot of the Commodore Barry Bridge, just minutes south of the Philadelphia Airport, and is a perfect venue for drum corps, with comfortable amenities and perfect sight-lines and acoustics.